The capital of Acre, Rio Branco, is alive with activity and a few hotspots that would be interesting to tourists. The Parque de Ambiental Chico Mendes is one such place. It is a beautiful nature park that has a small zoo featuring Amazonian animals as well as a museum highlighting the work of Chico Mendes- a man who fought tirelessly for the protection of the rain forest. More information about this site can be found at http://www.lonelyplanet.com/brazil/acre/sights/other/parque-ambiental-chico-mendes. Another interesting site is the Palacio Rio Branco which is an architectural masterpiece that acts as the venue for state government affairs and provides visitors with a history of Acre. More information about this site can be viewed at https://plus.google.com/102278789878561868208/about?gl=jm&hl=en. If you are looking for a wedding location that can help to alleviate the stress of planning a wedding while providing you with a beautiful atmosphere, then the Amazonia Palace Hotel is the best place to go if you are in Acre. You can visit their website at www.amazonaspalace.com.br for more information. Algoas is the second smallest state in Brazil and is primarily an agricultural state with several lakes. One of the most treasured sites in this state is the small fisherman's village of Sal Miguel Dos Milagres. This village features a long stretch of beach lined with palm trees that would be perfect for a beach wedding. However, this beautiful stretch of pristine white sand beach is not what makes the village the special gem it is. In close proximity to the village is the Sea Cow sanctuary where wounded manatees are nursed back to health. Manatees are one of the world's endangered species so it is really a special treat to be given the opportunity to be so close to them. Contact an event or wedding planner at the Village Pratagay Resort Hotel for more information about possible wedding destinations in Alagoas by visiting this link http://www.hotels.com/hotel/details.html?destinationId=1642312&datesFlexible=true&roomno=1&roomInfoList%5B0%5D.numberOfAdults=2&children%5B0%5D=0&hotelId=345552&tab=prices. Amapá is a little piece of paradise with a large portion of it being a tropical rainforest. It is home of the largest forest park worldwide, Tumucumaque National Park, and has a few attractions that would spark the interest of history aficionados and nature lovers. One such attraction is the Fortaleza de Sao Jose de Macapa which is a large stone fort built in the early 1700s by the Portuguese. More information about the fort can be found at http://www.ap.gov.br/amapa/site/paginas/historia/fortaleza.jsp (you will need to ensure that your browser translates the page from Portuguese to your native language). IF you want to take a romantic evening walk with your new spouse then you can visit Trapiche Eliezer Levy located on the edge of the Amazon River. For more information about this attraction you can visit http://wikimapia.org/5268338/Trapiche-Eliezer-Levy. Amapá offers a variety of historical and eco-friendly options for wedding venues. 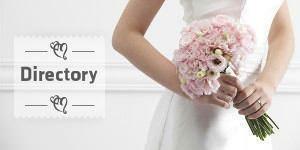 Speak with a wedding or event planner at the Hotel Ibis Macapa for more information. Their website can be viewed at http://ibishotel.ibis.com/gb/home/index.shtml. Although the largest state in Brazil, the Amazonas is the least populated Brazilian state. This state mainly consists of the tropical rainforests of the Amazon and is often referred to as rural Brazil. More information about this state can be viewed at http://www.ariautowers.com/html/manaus-brazil-our-neighborhood.asp. One of the most outstanding features of this state is the Amazonas Opera House which hosts an Annual Opera Festival. It would make a beautiful wedding location and you can view more information about the venue at http://www.amazonastravel.com.br/opera_house.html. Speak to a wedding or event planner at the Ariau Amazon Towers hotel for more information by visiting this link http://www.ariautowers.com/. If you have an interest in diamonds and bizarre rock formations then the Chapada Diamantina National Park located in Bahia is the place for you. This National Park has one of the most intriguing geographic scenes and has a rich history in the diamond trade. Visit http://www.atlasofwonders.com/2011/11/chapada-diamantina.html for more information about this site. Additionally, there is the town of Salvador de Bahia which was once the capital of Brazil and features Renaissance architecture. Visit http://whc.unesco.org/en/list/309 for more information about this site. Two other areas in Bahia that you should visit are: the Praia do Forte Turtle Project and Cachoeira de Fumaca. Praia do Forte is a beautiful beachside town adjacent to what has become known as the TAMAR project. This project was established to prevent the nation’s sea turtles from becoming extinct. Visit http://www.bahia-guesthouse.com/sea-turtles-TAMAR.html for more information. Finally, the Cachoeira da Fumaça (Smoke Waterfall) is a beautiful waterfall along a hiking trail that derived its name from the fact that most of the water evaporates before reaching the bottom of the fall. Visit http://www.fodors.com/world/south-america/brazil/salvador-and-the-bahia-coast/review-442749.html for more information. Any of these locations would make interesting wedding venues. Speak to a wedding or event planner at the Uxua Casa Hotel and Spa for more information by visiting this link http://smithhotels.com/luxury-hotels/uxua-casa-hotel-and-spa. There are many places to visit in Ceará but some of the most interesting include: Morro Branco, Cachaca Museum and Jericoacoara Stables. Morro Branco is a very interesting sight to behold with its red coloured cliffs and colourful sand. Visit http://www.viator.com/Fortaleza-attractions/Morro-Branco/d830-a1881 for more information about this beach. The Cachaca Museum highlights the culture and history of the town of Cachaca as well as Cachaca’s signature drink - Salinas. Visit http://gobrazil.about.com/od/brazilmuseums/ss/Cachaca-Museum-In-Salinas.htm for more information. Finally, the Jericocacoara Stables feature horseback riding and would be a fun adventure for newlyweds. Visit their website at http://jericoacoarastables.com/ for more information. The Hotel de Charme Casa de Sao Jose is close to the beautiful secluded Barra dos Remedios Beach which would be a perfect beach wedding destination. Visit their Booking.com page at http://www.booking.com/hotel/br/de-charme-casa-de-sapso-josa-c.en-gb.html?aid=318615;label=New_English_EN_ROW_Hotel-OAIlk_J4_GKPAUB%2AV8wv0AS25582900945%3Apl%3Ata%3Ap1%3Ap2%3Aac%3Aap1t1%3Aneg%3Akw_inurl%3Aen.html%23inurl%3Abooking.com%2Fhotel%3Aws%3D;sid=cb4a196735a06b459c75dc29dcc0da7c;dcid=1;srfid=377869bc66ec99288452142777b1fa1355a5ca04X1 for more information. 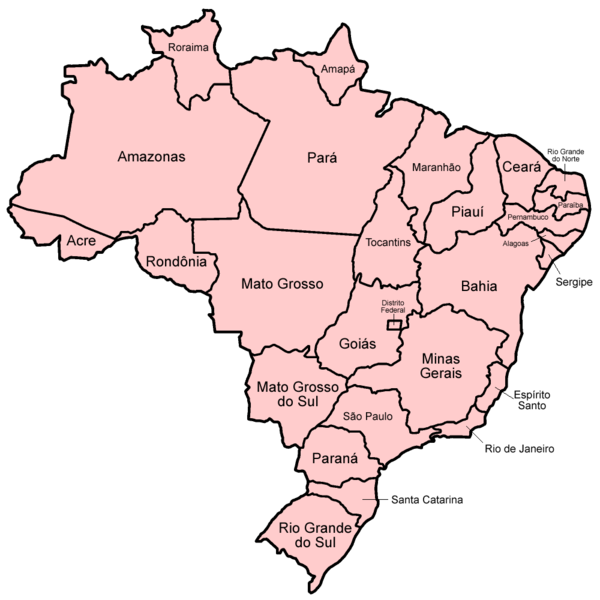 The Distrito Federal (Federal District) is one of the most important states in Brazil because it contains the nation’s capital, Brasília. Some interesting tourist sites to visit in Brasília are: the Santuario Dom Bosco, the Legiao da Boa Vontade Temple, and the Salto do Itiquira waterfall. Two possible wedding venues in Brasília include the Mansão Mabel and Plato Eventos. Speak with an event or wedding planner at the Melia Brasil 21 for more information about these and other possible wedding venue choices by visiting this link http://www.melia.com/en/hotels/brazil/brasilia/melia-brasil-21/index.html. Espírito Santo is another beautiful Brazilian state with several tourist attractions. Two of the most interesting attractions include: Mosteiro Zen Morro da Virgem and Selva Sassiri. One of the most popular and breathtakingly beautiful wedding destinations in this state is Vanuatu. Pristine white sand beaches and clear blue waters make this venue perfect for an unforgettable wedding experience. Visit their website at http://www.espiritusantotourism.com/getmarried.html for more information. Although this state is not a hub for tourist activity, there are a few attractions worth mentioning: the Conde dos Arcos Palace and the Historic downtown district. The tour guides at the Conde dos Acros Palace present visitors with a comprehensive history of Goiás and the Historic downtown district offers a trip down memory lane in one of the oldest towns in Goiás. Speak with either an event or wedding planner at the Castro’s Park Hotel for more information by visiting this link http://castrospark.com.br/castros/. Maranhão is a Brazilian state filled with both the beauty of architecture and nature. One of the best architectural sites is Martiz Square which is located in the city of Alcantara. Although there is no website that features exclusive information about this square, you can visit the TripAdvisor page at http://www.tripadvisor.com/Attraction_Review-g675032-d2388911-Reviews-Matriz_square-Alcantara_State_of_Maranhao.html and read the reviews written by people who have visited the site. Brazil is rich in theatrical extravagance and the Teatro Arthur Azevedo is another magnificent theatre that is worth visiting. Visit their Facebook page for information on upcoming shows https://www.facebook.com/pages/Teatro-Arthur-Azevedo/181143905261916. The Lencois Maranhenses National Park is another attraction in Maranhão that can easily be described as one of the most beautiful attractions in the world. It consists of a series of enchanting white sand dunes filled at intervals with blue lagoons of water. Visit http://www.amusingplanet.com/2011/10/lencois-maranhenses-national-park.html for more information about this breathtaking sight. For information about the availability of any of these venues for a wedding or for other wedding venue choices in Maranão, speak with an event or wedding planner at Hotel Luzeiros São Luis by visiting this link http://www.booking.com/hotel/br/luzeiros-sao-luis.en-gb.html?aid=318615;label=New_English_EN_ROW_Region-dj3_i3XDa9GhmdHkb74xNAS25582900225%3Apl%3Ata%3Ap1%3Ap2%3Aac%3Aap1t1%3Aneg%3Akw_inurl%3Aen.html%23inurl%3Abooking.com%2Fregion%3Aws%3D;sid=cb4a196735a06b459c75dc29dcc0da7c;dcid=1. The name Mato Grosso means primeval forest and is one of the larger Brazilian states. Some interesting sites to visit in Mato Grosso are: the Museum of Art and Culture, Rondon Museum, the Parque Nacional da Chapada dos Guimarães, and Salgadeira Falls. Speak with an event or wedding planner at the Holiday Inn for more information about possible wedding venues in Mato Grasso. The contact information for this hotel can be found at http://www.event1001.com/hotels/brazil/cuiaba/holiday-inn-cuiaba-/24102/. Although one of the younger states in Brazil, Mato Grosso do Sol has developed a strong identity for western cowboy type flair. Filled with several waterfalls and scenic venues, Mato Grosso do Sol is one of the best states in which to plan your wedding. Some of the interesting sites to visit in this state include: Rio da Prata, the Forte Coimbra, and the Fazenda Piana. Speak with a wedding or event planner at the Grand Park Hotel for more information about possible wedding venues in Mato Grosso do Sul by visiting this link http://www.grandparkms.com/. The word Minas Gerais means “General Mines” and aptly describes one of the main features of this state…its natural mineral resources. Some of the most interesting and popular places to visit in this state include: Memorial Minas Gerais, Rei do Mato Cave, and the Steam Trains. Speak with an event or wedding planner at Promenade Ianelli for possible wedding venue options in this state by visiting this link http://www.promenade.com.br/default-en.html. Pará is the second largest state in Brazil and has the Amazon River flowing through it for approximately 500 miles until it enters the Atlantic Ocean. This state has a strong Indian culture and has the Amazon River as its main feature. One of the most popular attractions in the states capital, Belém, is Mangal das Garças located close to the Guamá River. It has an aviary, butterfly exhibits and lakes and would be a beautiful location for a wedding. Visit http://gobrazil.about.com/od/ecotourismadventure/ss/Mangal_das_Garcas.htm for more information. Speak to an event or wedding planner at the Radisson Hotel Maiorana Belem for more information by visiting this link http://www.atlanticahotels.com.br/atlantica/hoteis/estrutura.asp?Numfuncionalidade=292&NumHotel=1211. With such a wealth of architectural and natural wonders and captivating sceneries found in Brazil, it is no surprise that one of the most sought after architects in the world, Oscar Niemeyer, is a Brazilian native. Niemeyer recently constructed an architectural wonder in the state of Paraíba known as the Cabo Branco Station. It is a definite must see if you happen to be in Paraíba and more information about this site can be found at http://www.lasic.ufpb.br/chip_on_the_cliffs_2011/joao_pessoa/science.html. Another excellent architecturally magnificent site for both the religious and the non-religious is the Sao Bento Monastery. Besides having a church, it also has a theatre where concerts and events are often held. Visit http://www.cidadedesaopaulo.com/sp/en/what-to-see/205-mosteiro-de-sao-bento for more information about this site. Paraíba has a lot to offer but one of the definite “must-sees” that must be highlighted is Joao Pessoa Botanic Garden. Filled with beautiful gardens and scenery , it would be an ideal wedding destination. Speak with an event or wedding planner at the Littoral Tambaú Flat for more information by visiting this link http://www.tambauflat.com.br/. Paraná is not a state frequented by tourists but it contains some of the most majestically beautiful mountains, flora and fauna of Brazil. Two of the best places to visit in this state are the Superagui National Park and Dolphin’s Bay. Speak with a wedding or event planner at the Bourbon Cataratas Convention & Spa for more information b visiting the link http://www.bourbon.com.br/hoteis-e-resorts/bourbon-cataratas-convention-e-spa-resort/. Pernambuco is a very busy state filled with numerous activities and attractions for visitors. One such attraction is the Capela Dourada (Golden Chapel) which is said to be the church that has the second highest amount of gold Brazil. Visit http://www.frommers.com/destinations/recife-and-olinda/attractions/212725 for more information. Another interesting feature of Pernambuco is the quaint town of Olinda which is lined with brightly coloured homes, sidewalk cafés and shops, and aspects of Baroque art and architecture. Visit http://www.lonelyplanet.com/brazil/the-northeast/olinda for more information. Speak with a wedding or event planner at the Pousada do Amparo by visiting the visiting TripAdvisor page http://www.tripadvisor.com/Hotel_Review-g304559-d647862-Reviews-Pousada_do_Amparo-Olinda_State_of_Pernambuco.html. Piauí is a small state with fewer inhabitants when compared to other Brazilian states. Nevertheless, it has several interesting attractions including the Parque Zoobotanico de Teresina and the Fabrica de Polvora. The Parque Zoobotanico is a zoo featuring a wide variety of animals and botanical gardens. The Fabrica de Polvora is a history museum riddled with gardens, bars and a variety of cultural experiences. Speak to a wedding or event planner at the Metropolitan Hotel for information about possible wedding venues in Piauí by visiting the Booking.com site at http://www.booking.com/hotel/br/metropolitan-ltda.en-gb.html?aid=318615;label=New_English_EN_ROW_Hotel-OAIlk_J4_GKPAUB%2AV8wv0AS25582900945%3Apl%3Ata%3Ap1%3Ap2%3Aac%3Aap1t1%3Aneg%3Akw_inurl%3Aen.html%23inurl%3Abooking.com%2Fhotel%3Aws%3D;sid=cb4a196735a06b459c75dc29dcc0da7c;dcid=1;srfid=bb050b4ae85f3dfbb22f7046d6c81f7135f48d13X1. Rio de Janeiro can be described as the lifeline and energy hub of Brazil. It was once the capital of Brazil and is one of the most popular Brazilian states worldwide. This state has some of the most interesting tourist destinations some of which include the infamous Christ the Redeemer statue, IPanema beach, and Niterói Contemporary Art Museum. One of the most popular wedding venues in Rio de Janeiro is the Copacabana Palace and more information about this venue can be viewed at http://www.copacabanapalace.com/web/orio/rio_wedding.jsp. Visitors are also able to have secluded weddings on one of the islands close to Rio de Janeiro. Visit http://www.adatours.com/slideshow/tropical-wedding-ceremony-on-a-wonderful-island-in-rio-de-janeiro.html for more information. This is one of the smallest Brazilian states and is famous for agriculture and salt production. Two of the most interesting attractions in this state are the Teatro Riachuelo and the Memorial da Resistencia. The Teatro Riachuelo is frequently alive with some of the best theatrical performances that are generally well supported. The Memorial da Resistencia is an open museum that tells the story of the highway men and bandits who frequented Rio Branco. Although neither is an ideal wedding venue, Rio Grande do Norte does offer a wide variety of beaches that have the potential to be beautiful wedding venues. Speak with an event or wedding planner at the Best Western Premier Majestic Ponta Negra Beach for more information about possible wedding venues in the area by visiting the link http://www.booking.com/hotel/br/best-western-premier-majestic.en-gb.html?aid=318615;label=New_English_EN_ROW_Region-dj3_i3XDa9GhmdHkb74xNAS25582900225%3Apl%3Ata%3Ap1%3Ap2%3Aac%3Aap1t1%3Aneg%3Akw_inurl%3Aen.html%23inurl%3Abooking.com%2Fregion%3Aws%3D;sid=cb4a196735a06b459c75dc29dcc0da7c;dcid=1. Rio Grande do Sul is a beautiful state flanked to the north by the Paraná plateau. This state has rich history and is famous for the friendliness of its people. Two of the most interesting places to visit in this state are the cities of Gramado and Canela. One of the most beautiful wedding destinations in this state is the Estalagem St. Hubertus and you can visit their website at http://sthubertus.com/hotelemgramado/ for more information. This state was once a part of the state of Amazonas and features many aspects of the Amazon Rainforest. This link http://0p0media.com/brazil/top-tourist-attractions-in-rondonia/ offers a wealth of information about the attractions available in this state. Contact an event planner at the Accordes Hotel for more information. Visit the visiting link at Booking.com for information http://www.booking.com/hotel/br/accordes.en-gb.html?aid=357026;label=gog235jc-region-en-br-rondonia-unspec-jm-com;sid=cb4a196735a06b459c75dc29dcc0da7c;dcid=1. Although Roraima is the Brazilian state occupied by the least people, it has one of the most beautiful mountains in the world...the Mount Roraima. This breathtakingly beautiful landscape offers visitors the opportunity to hike and has the potential to be a beautiful wedding venue. Visit http://www.tourismontheedge.com/best-of/mount-roraima-a-mystified-hiking-experience.html for more information. Speak with a wedding or event planner at the Ferrari Palace Hotel for more information by visiting the Booking.com page http://www.booking.com/hotel/br/ferrari-palace.en-gb.html?aid=357026;label=gog235jc-region-en-br-roraima-unspec-jm-com;sid=cb4a196735a06b459c75dc29dcc0da7c;dcid=1. Santa Catarina is a small Brazilian state that is known for frequent rainfall. It is a beautiful state filled with many attractions. Some of these popular attractions include Molhe and the Sao Jose Historic Municipal Museum. Speak with a wedding or event planner at the Po0nta dos Ganchos Exclusive Resort for more information about possible wedding venues in the area by visiting http://www.pontadosganchos.com.br/. São Paulo is the main industrial center of South America. Some of the most popular tourist attractions in this state include: São Paulo Museum of Art, Credicard Hall, and the Museu Paulista. Two of the most popular wedding venues in this state include the Tivoli and the Renaissance. Visit the visiting links for more information http://www.tivolihotels.com/pt/hoteis/sao-paulo/tivoli-sao-paulo-mofarrej/o-hotel.aspx and http://www.marriott.com/hotels/event-planning/wedding-planning/saobr-renaissance-sao-paulo-hotel/. Sergipe is Brazil’s smallest state and focuses mainly on agriculture. As with other Brazilian states, there are several attractions but three of the most interesting are the Museu da Gente Sergipana, Falcoes Park and the Museu Afro-Brasileiro de Sergipe. The Museu da Gente offers an entertaining showcase of the history of Sergipe. Falcoes Park is a beautiful bird sanctuary featuring several uncommon species of birds. Finally, the Museu Afro-Brasileiro de Sergipe offers both a tour of the city of Sergipe and affords visitors the opportunity to learn more about the history of black people in Brazil. For information about possible wedding venue options in Sergipe, speak with either an event or wedding planner at the Radisson Hotel by visiting this link http://www.expedia.com/Sergipe-Hotels-Radisson-Hotel-Aracaju.h2478309.Hotel-Information?chkin=12%2F12%2F2013&chkout=12%2F15%2F2013&rm1=a2&. Brazil has many natural wonders of the world and one such wonder can be found in Tocantins- Bananal Island. This island is the largest known inland river island. In this state, there are several waterfalls, beaches and parks that would make beautiful wedding venues. Contact an event or wedding planner at Jalapão Hotel for more information by visiting this link http://www.lonelyplanet.com/brazil/the-amazon/palmas/hotels/jalapao-hotel. Find out more about getting married in Brazil in our Brazilian Wedding Guide or browse our Brazilian Wedding Directory to start planning your dream wedding.